Tendinitis refers to the inflammation of a tendon, which is a band of fibrous connective tissue that attaches a muscle to a bone. Tendinitis can result from repetitive or overuse injuries and can occur during activities such as gardening, carpentry, shoveling, painting, scrubbing, tennis, golfing, skiing, and pitching. People with poor posture or those who avoid stretching before exercise are at a higher risk of developing tendonitis. Tendinitis can also affect individuals with rheumatoid arthritis, gout, psoriatic arthritis, thyroid disorders, infections or an unusual medication reaction. Tendinitis can affect individuals of any age but is more common in adults over the age of 40 years, as tendons lose their strength and elasticity with age, and become susceptible to tear. 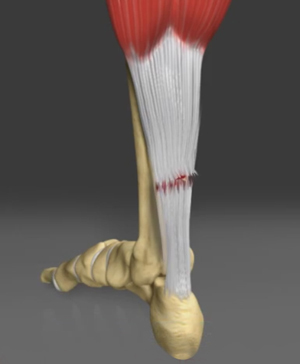 Tendinitis can affect any tendon; however, it commonly involves the shoulder, elbow, base of the thumb, hip, knee and the heel (Achilles tendinitis). The initial treatment of tendinitis includes rest, avoiding activities that worsen the condition, application of ice to the affected area, and anti-inflammatory medications. Corticosteroid injections, physical therapy, and surgery may be considered if the symptoms of tendinitis persist and do not respond to the initial line of treatment. Depending on the severity of the damage, the healing period may vary from a few weeks to months. To decrease your chance of developing tendinitis, avoid repetitive movements; stop any activity that causes pain, and gradually increase your activity levels.